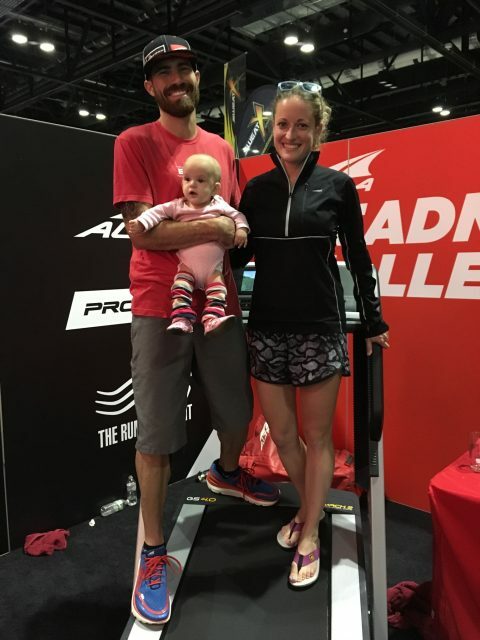 On Dec. 1, Altra Elite Athlete, Jacob Puzey hopped off the treadmill at The Running Event Trade Show in Orlando, Fl., and casually walked to his wife and 6-month-old daughter who were standing nearby. Had it not been for the swarms of spectators, you’d think that this guy was there for a casual fun run — not a 50 mile world record that he just so happened to smash exponentially. 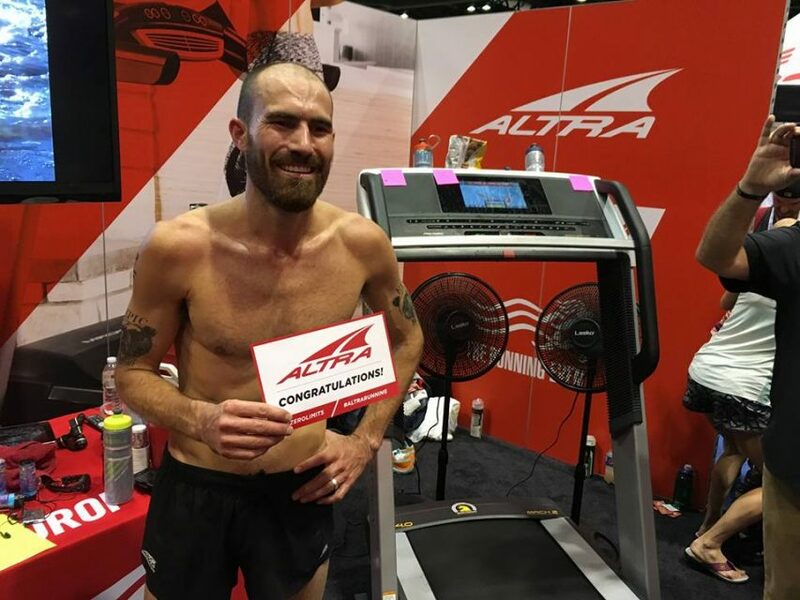 Yes, the 34-year-old father of five shattered the 50 mile treadmill record by nearly an hour, finishing the distance in a blistering 4:57:45, averaging 5:56 per mile. 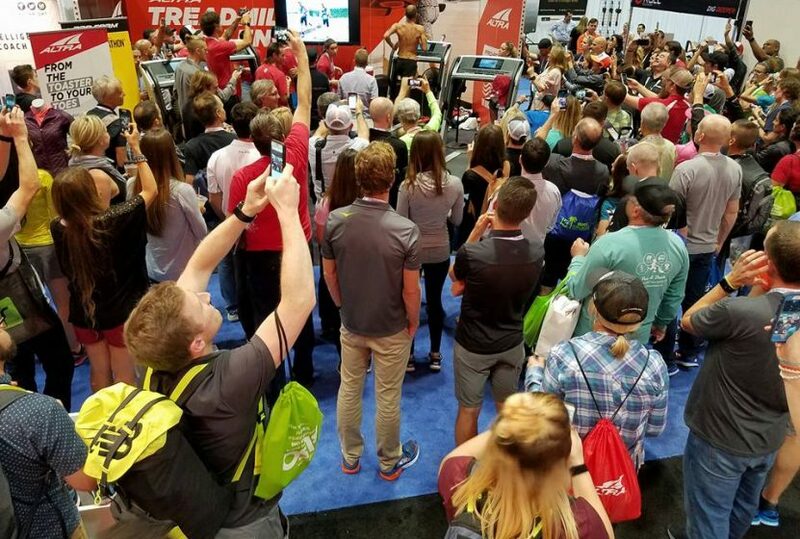 Puzey, who is an elite athlete and professional running coach, decided that he wanted to attempt to break the record, but he thought it would be close. While the plan was set in place, complete with the venue and support from family and sponsors, things did not begin exactly as expected. Once things were settled, Puzey began his run, starting out at his 7-minute per mile goal pace. 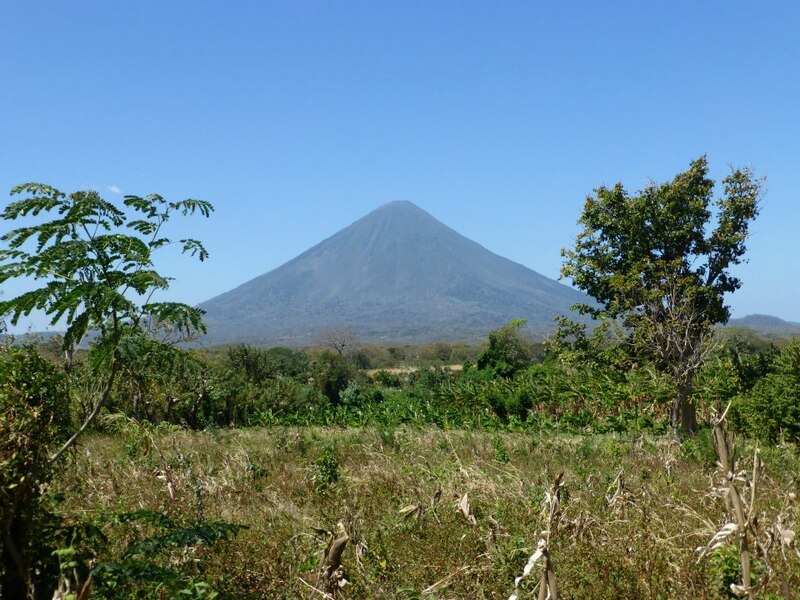 However, it was evident to him and those watching that this pace was not going to work, and off and away he went running below 6-minute mile pace. “Even though it seemed foolish at the time, it actually felt better to run well below the pace than to try and run just below it,” Puzey said. And according to Falker, once Puzey began to pick up the pace, it wasn’t long before he found that sweet spot where he could unfold his powerfully smooth stride. 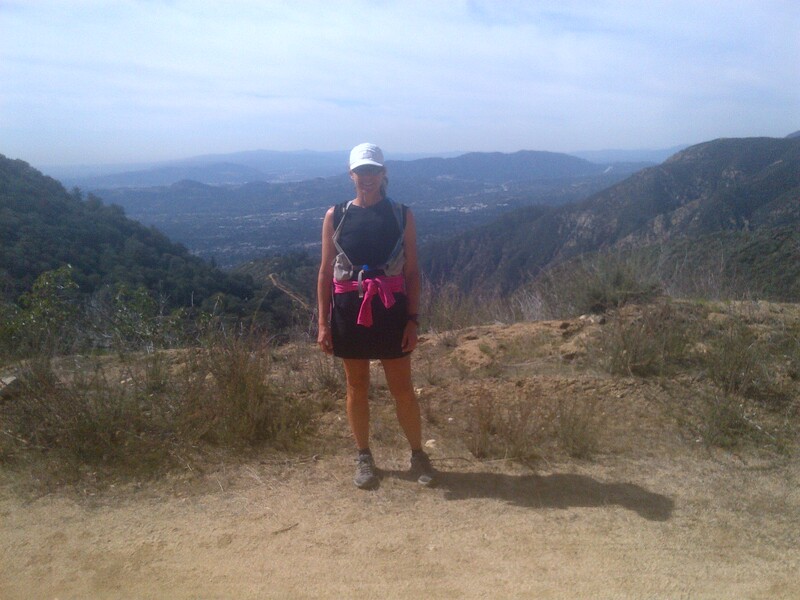 At about a quarter of the way through, however, things came to an abrupt halt. Puzey’s pursuit consisted of many consecutive mile splits in the 5:20’s, and soon people started to take notice. When it was all said and done, Puzey said that It was the many spectators, including his wife, Amy and daughter, Ashima that kept him going, and going fast. While he did complete his world record goal by leaps and bounds, Puzey has not forgotten those who have helped him get where he is. As far as what is next? Well, Puzey says his goal is to recover, prepare for the holidays with his family, make sure his kids know how much he loves them and help his wife prepare for her next goal race.